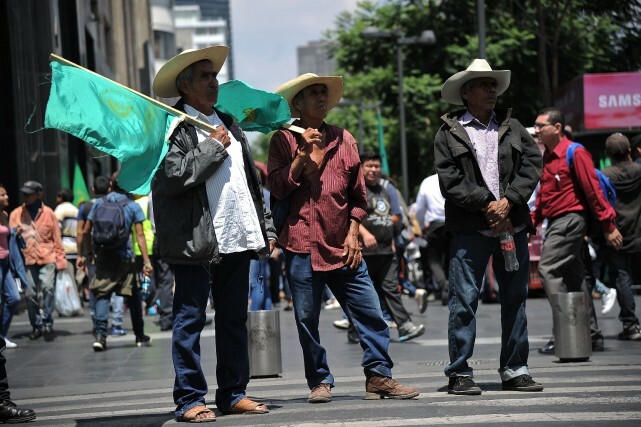 According to census data calculations by researchers at the Mexican Centro de Investigación y Docencia Económicas, some 4.9 million Mexican family farmers were displaced after NAFTA, with about three million becoming seasonal workers in agro-export industries. This shift was part of a dramatic reconfiguration of supply chains and a sharp increase in corporate concentration in agriculture in North America, as global firms shifted different stages of production among countries to reduce costs. Corn production in Mexico did not cease under NAFTA ; much of it was redirected to the burgeoning meat industry. Large scale production of meat expanded alongside corn imports from the U.S., driving new production that contributed to the vicious cycle of farm loss and corporate concentration that has hurt farmers in all three countries. The idea of setting floor prices for strategic agricultural production is not new ; it was the basis of farm programs in the U.S. and other countries for decades. One element that is new is the use of technology to avoid some of the problems of the past. Farmers participating in the program are registered using georeferenced census data, which is intended to prevent efforts to game the system by dividing larger farms into smaller blocks. More fundamentally, the new agreement would leave the fragile, new grain production open to floods of imports of cheaper U.S. goods. 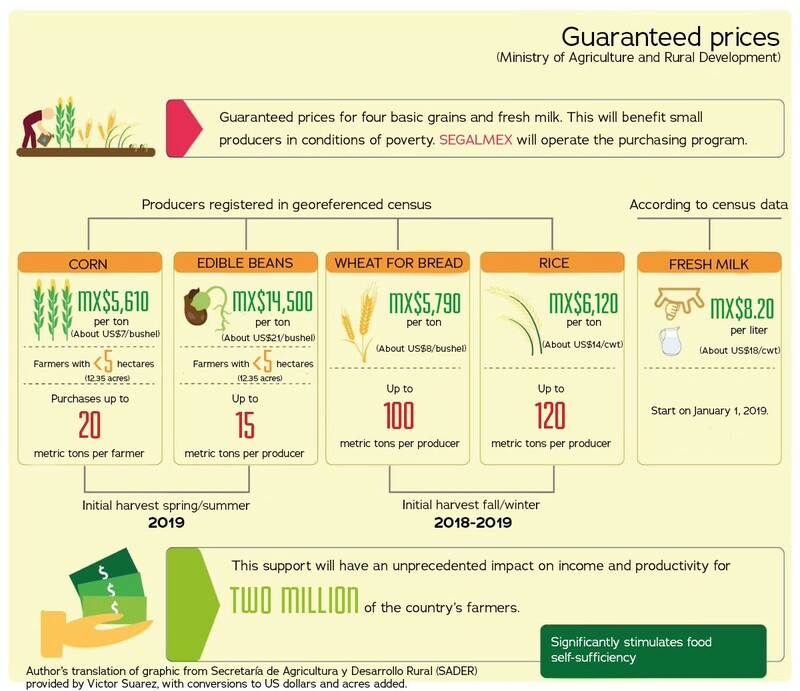 Mexican organizations have long called for the exclusion of basic grains from trade commitments, a demand they repeated at the start of the New NAFTA talks. The new agreement not only maintains current tariffs, but also adds new language in the Agriculture Chapter forbidding Parties from utilizing World Trade Organization (WTO) special agricultural safeguards (which would allow them to enact temporary trade barriers in cases of unstable prices or import surges). There are ongoing proposals from developing countries at the WTO to expand that provision through the establishment of a Special Safeguard Mechanism (temporary tariff protections) and the designation of Special Products (key goods for food security that could be excluded from imports), so this provision would cut off that possibility from parties to NAFTA. Article 3.3 of the New NAFTA also commits members to work together at the WTO, “with the objective of substantial progressive reductions in agriculture support and protection.” Of course, the New NAFTA is not a done deal ; it will confront a skeptical Congress in the U.S. and growing concerns in Mexico and Canada.